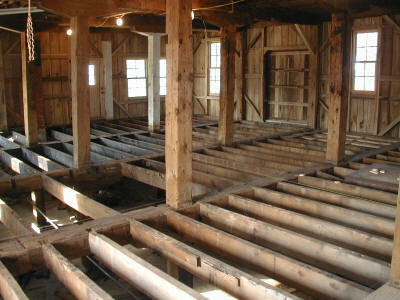 The first floor was removed and the joists leveled in the winter of 2006-07. 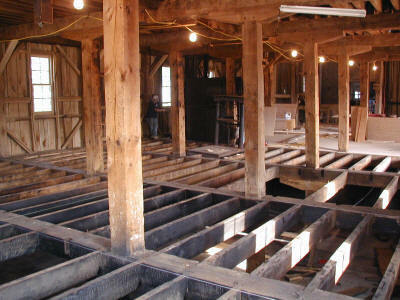 The joists in the foreground are still charred from a fire in the late 1800's. 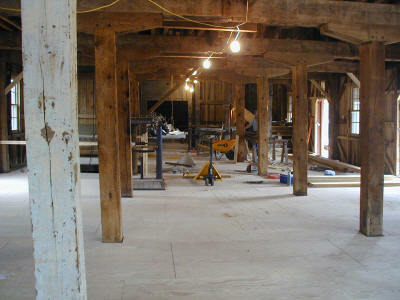 A plywood deck was laid in the fall 2007. 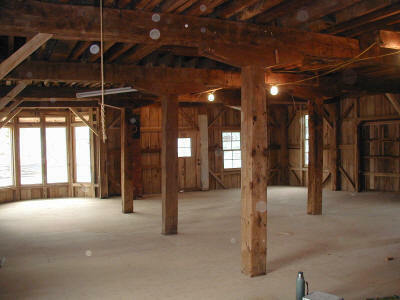 Next chore; stairs to second floor.